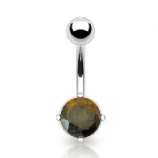 This section features our range of navel bars made with semi-precious stones such as amethyst, jade, tiger's eye and goldstone. 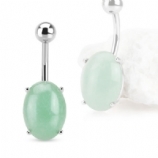 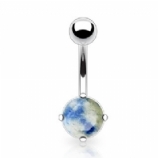 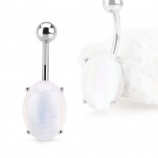 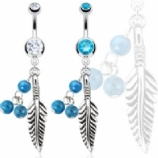 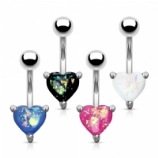 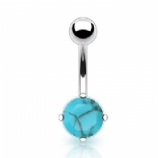 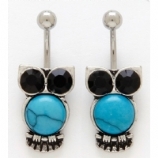 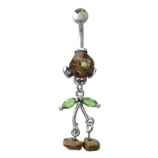 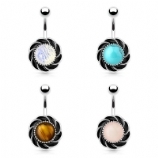 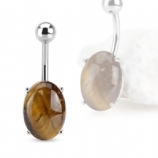 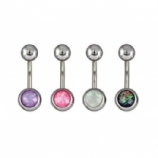 The selection includes plain and simple belly bars with just a ball on each end made of the stone, and some elegant dangle navel bars too. 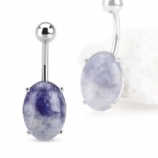 Semi-precious stones are very classy and look beautiful, and many also believe them to have special qualities - for example rose quartz promotes healing, jade brings luck and wealth, etc.